“Enhancing Quality of Technology-Enhanced Learning at Jordanian Universities”, eQTeL, is TEMPUS project number 544491-TEMPUS-1-2013-1-ES-TEMPUS-SMGR, approved by the European Commission under grant agreement 2013-4568. The EQTeL final dissemination conference on enhancing quality of technology-enhanced learning at Jordanian Universities aims at presenting to university academics and industry leaders in Jordan the results of the project and the latest development on educational methodologies in the field. 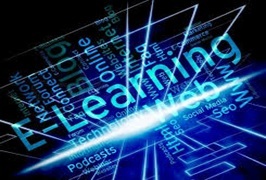 The conference will bring together professors, researchers, practitioners and ICT industries from Europe and Jordan to share and discuss state-of-the-art research, applications, advances and developments in eLearning. The conference will also promote and disseminate knowledge concerning several topics and technologies related to eLearning and QA concepts, assist researchers, companies, communities, agencies, associations and societies to keep abreast on new developments in the field, and help find alternative educational solutions to current issues on higher education such as open educational resources and MOOCs.